A nutritious diet is important regardless of your health but especially when you're a breast cancer patient. UCSF Medical Center says one-third of U.S. adulthood cancer deaths can be attributed to diet. Certain foods might be better tolerated than others during treatment, but getting in a good variety of nutritious foods is essential. Eating right can help you get through successful treatment and prevent cancer from recurring. Divide your plate into quarters. 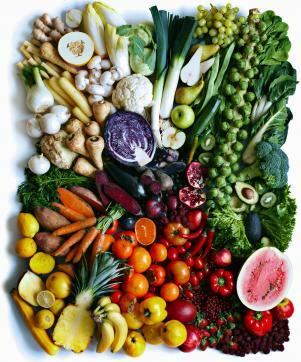 Fill half your plate with vegetables (five or more servings of fruits and veggies daily). Fill a quarter of your plate with protein foods. Fill a quarter of your plate with whole grains or starchy vegetables. Eating the right proportion of carbs, proteins, and fat is beneficial. Eat protein at every meal. Aim for 30 to 45 grams of fiber daily. Focus on healthy fats, such as fatty fish, avocado, olives, nuts, seeds, nut butters, and plant-based oils. Eat less than 30 percent of your calories from fat (fewer than 67 grams daily for a 2,000-calorie diet). Add foods that are beneficial for fighting cancer because they are rich in phytochemicals and/or antioxidants (with the exception of water, which helps hydrate). Consume 1 to 2 tablespoons of flax or chia seeds daily. Drink 1 to 4 cups of green tea daily. Season foods with herbs and spices. Take a multivitamin supplement as recommended by your doctor. When you have or are recovering from breast cancer, limit the following foods because they can increase your risk for recurrence. That's because the foods contain ingredients like added sugars and chemicals, have a low nutrient-density, or they promote weight gain and obesity. Eat five or six small meals throughout the day. Eat protein foods at each meal. Drink at least eight cups of water daily. Eat fiber-rich fruits, vegetables, whole grains, nuts, seeds and legumes as tolerated. Choose soft foods if you have a sore mouth. Reach for bland foods or follow a BRAT diet if you're nauseated. Try liquid meal replacement shakes or protein shakes as needed to boost protein and calories when you're feeling too sick for food. Get at least 45 to 60 grams of protein daily. Take multivitamin supplements as recommended by your doctor. A breast cancer diet is a healthy eating plan rich in fruits, vegetables, whole grains, protein foods (excluding certain meats), and healthy fats. 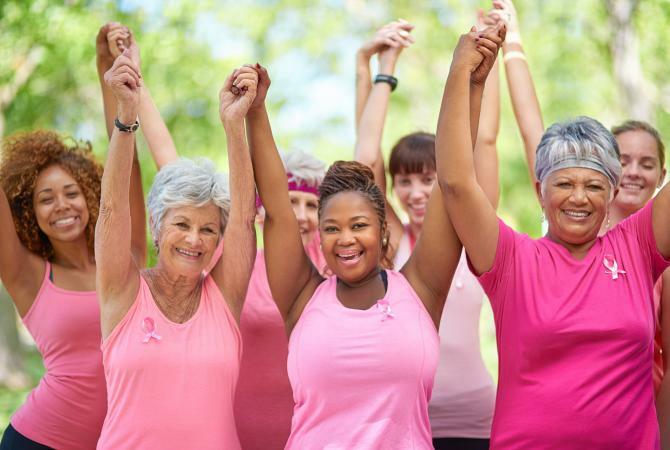 Maintain a healthy weight, exercise regularly, and get plenty of rest in addition to eating right before, during, and after breast cancer treatment.